Yoga actually means Union – union with the divine. Karma means action. So Karma Yoga is the Yoga of action. 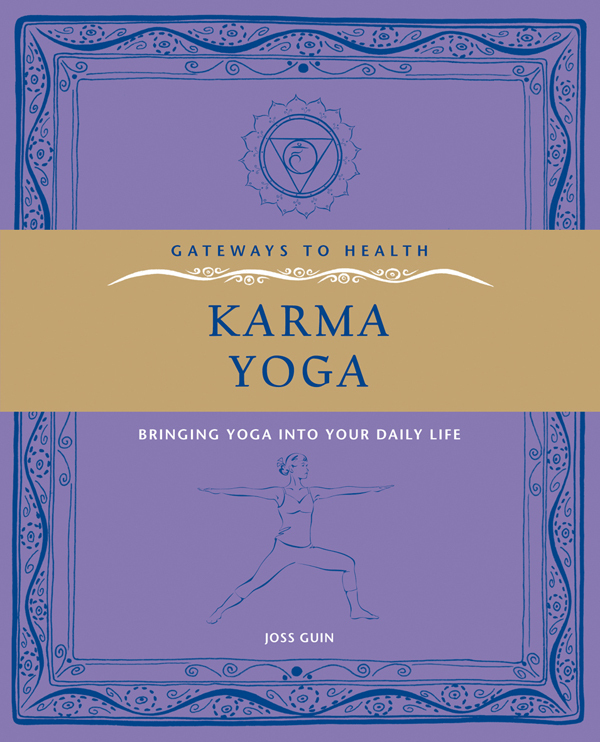 Dating back 2,500 years, Karma Yoga was traditionally practised in an Ashram under the guidance of a teacher or guru. The author has translated this brilliant system into something anyone can practise in the modern world. With just ten poses with meditations, this routine can be incorporated into any life. These poses have been chosen to best symbolise the ten virtues that are the foundation of yoga practice: peace, truth, honesty, control, freedom, cleanliness, contentment, will power, insight and surrender. You can do one or all ten a day or even practise just one for a whole week – making this the ultimate flexible routine for spiritual and physical growth.